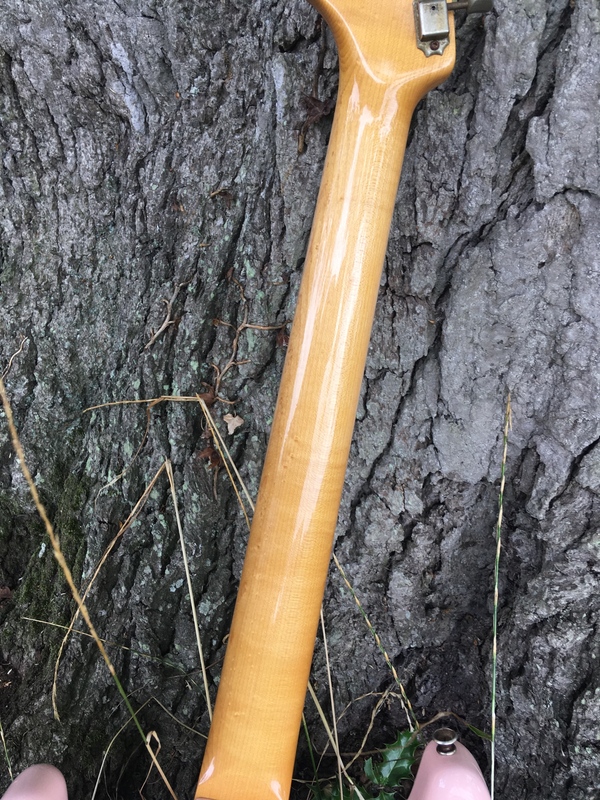 The finish is very understated for a Relic, just natural checking in the paint and careful wear. 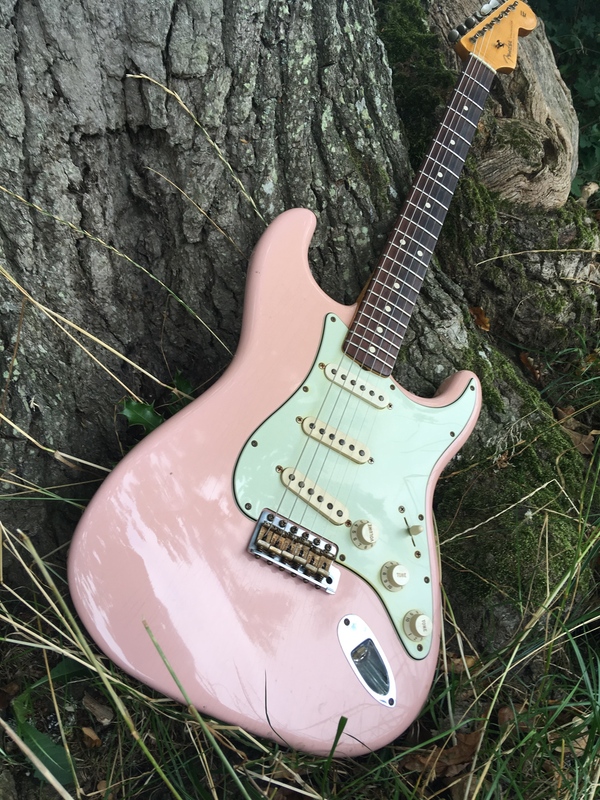 Not easy to find in shell pink and the pickups sound great. Can meet up or ship, even deliver depending on location. 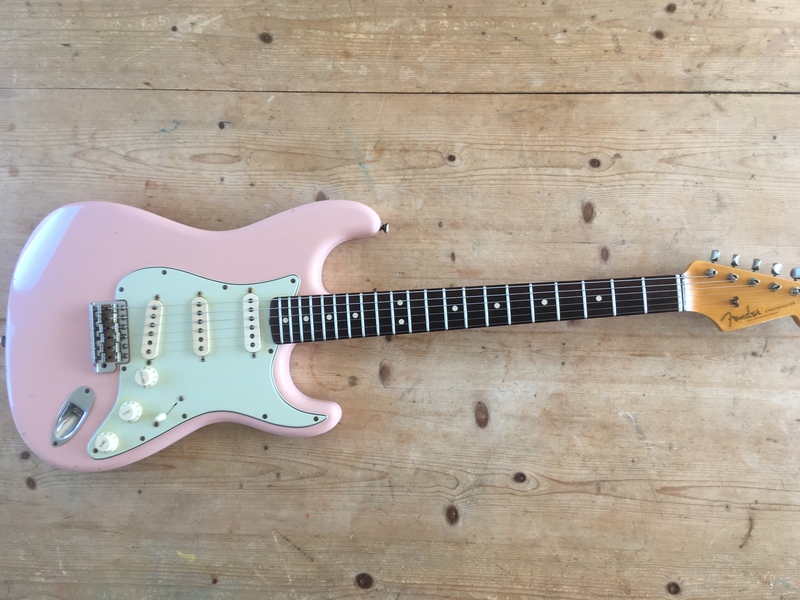 I think I must be having a midlife crisis because I am gassing hard for a Pink Strat. I have to say, speaking technically, of course..... 'phwoaar!'. 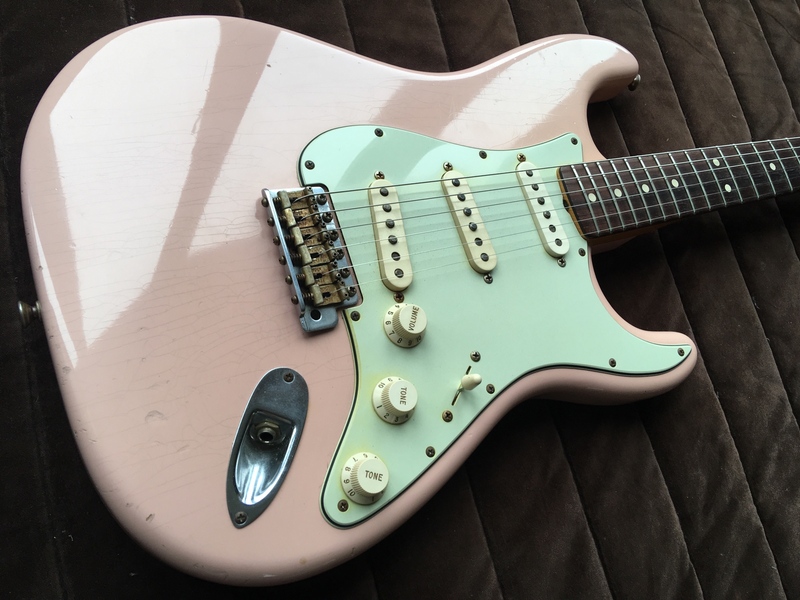 GLWS - I have a CS in Daphne Blue, but I would still be after that like a pig at a truffle if I could afford it. Not really, sorry. I need to raise the cash or mainly the cash. If I got on with the neck I’d be very tempted Merlin. I want to sell too though. 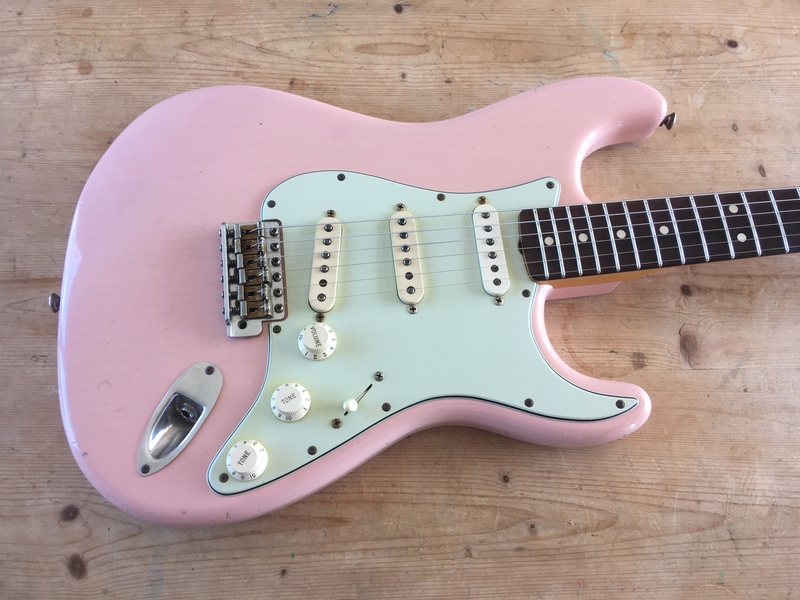 that is the coolest looking Strat Ive seen for a long time, Im not looking to buy a Strat but that is making me think twice. 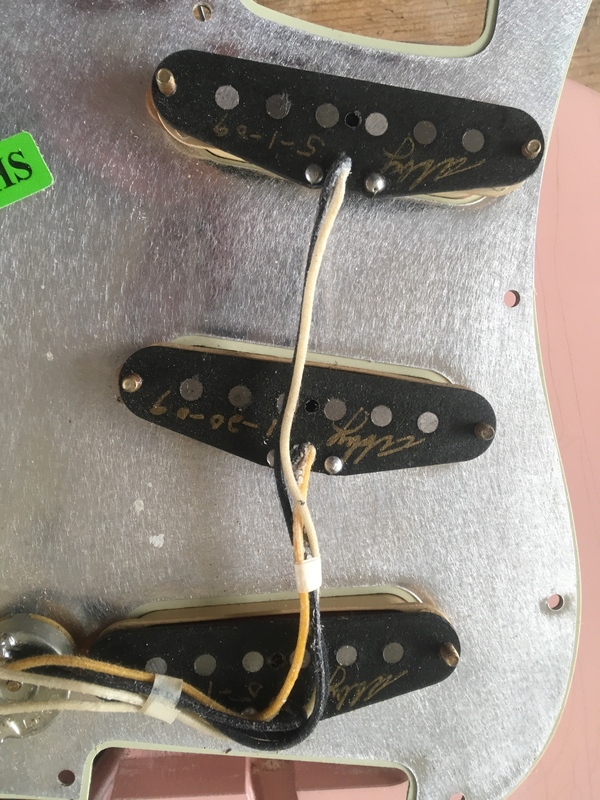 As Strats go it is very cool. Excellent specs and took me a long time to find it. Thank you. You're not too far WayfarersAll if you're interested/fancy a strum. Pants well and truly jizzed. @thebreeze Oh yeah! 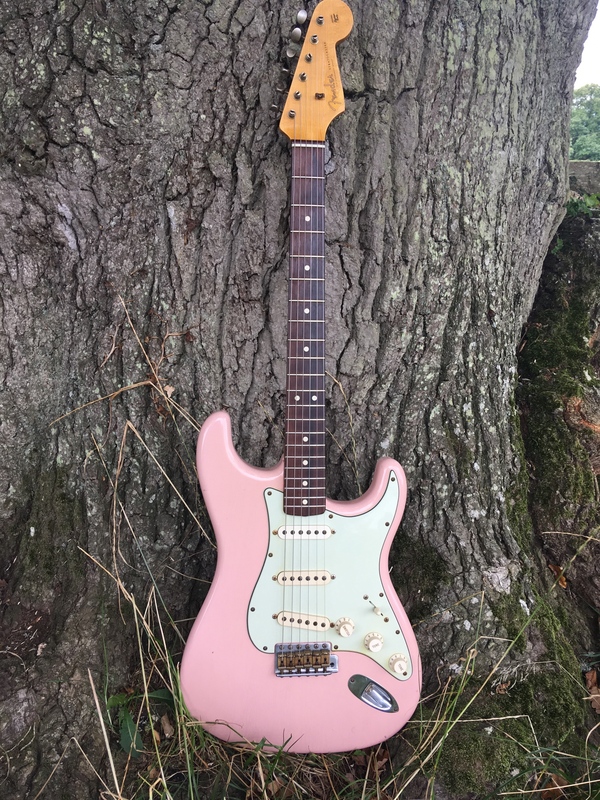 Well pink isn't exactly my colour and it's certainly out of my price range! Looks great though. Don't like relics but this is acceptable to me! 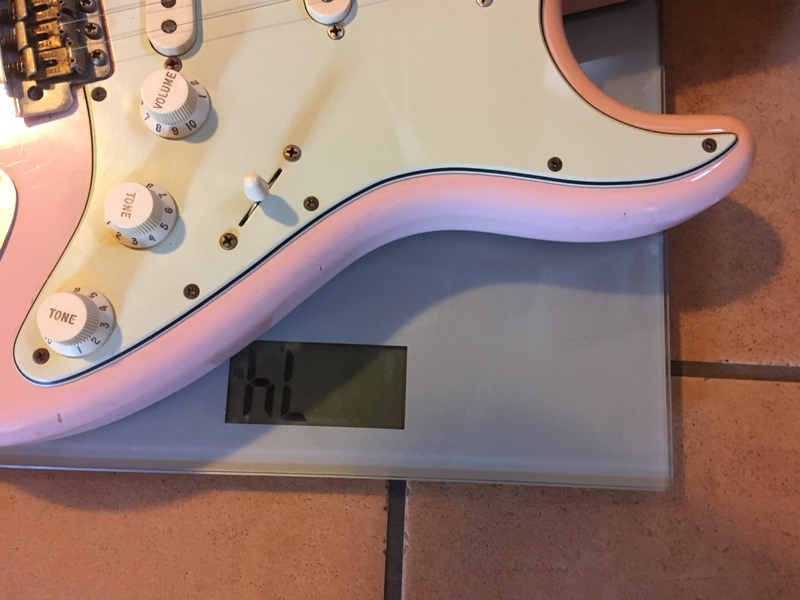 Just was wondering why it has a 9.5" board on a 60's guitar? Not that that's a bad thing! 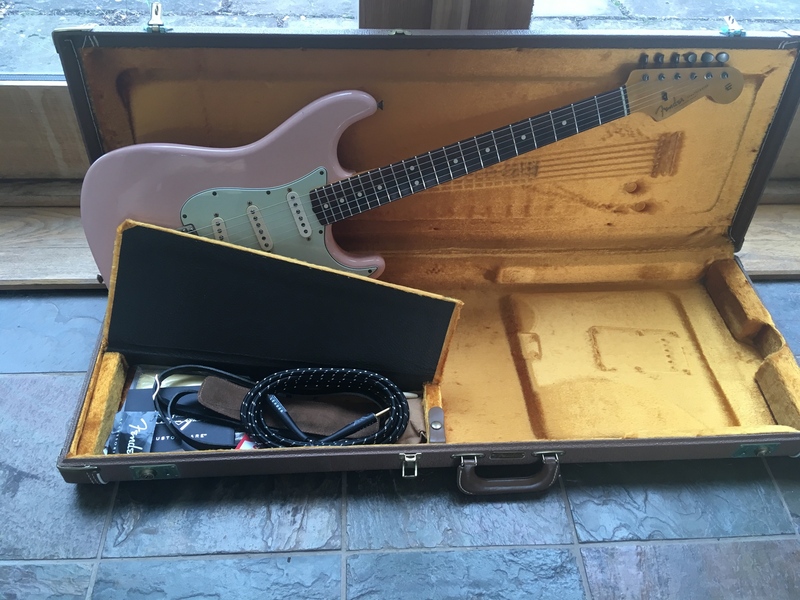 The Custom Shop do all kinds of specs, often tailored to individual requirements. So many of the guitars are individual in themselves. 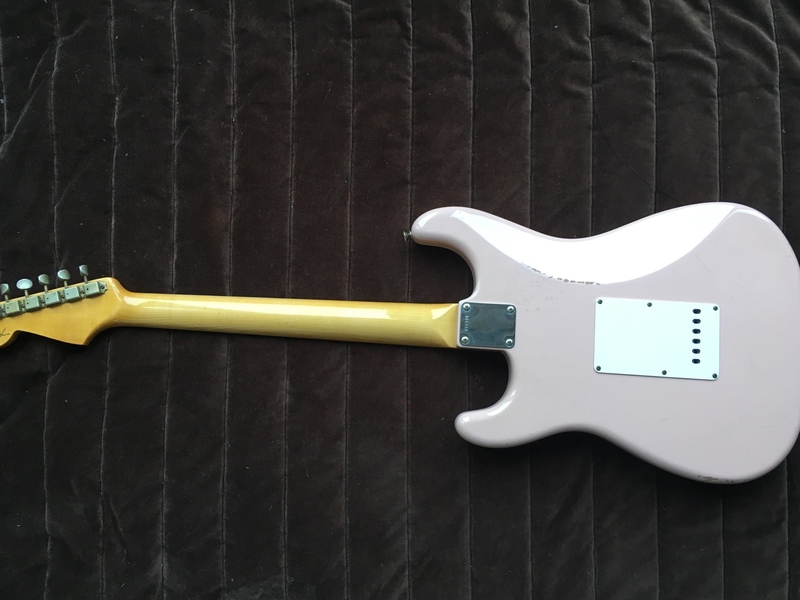 This one has 9.5” radius, 5-way switch and a ‘65 C neck, none of which would have been available on an original 1963. 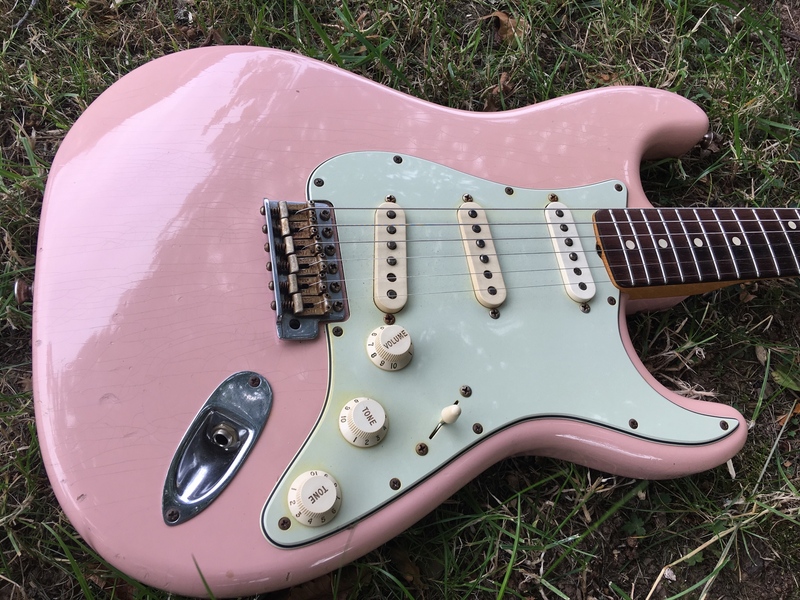 Whether you feel it’s legitimate for the Custom Shop to replicate guitars that aren’t exact replicas is a moot point (eg you get Nocasters with 60 oval C necks - is that a Nocaster etc?) 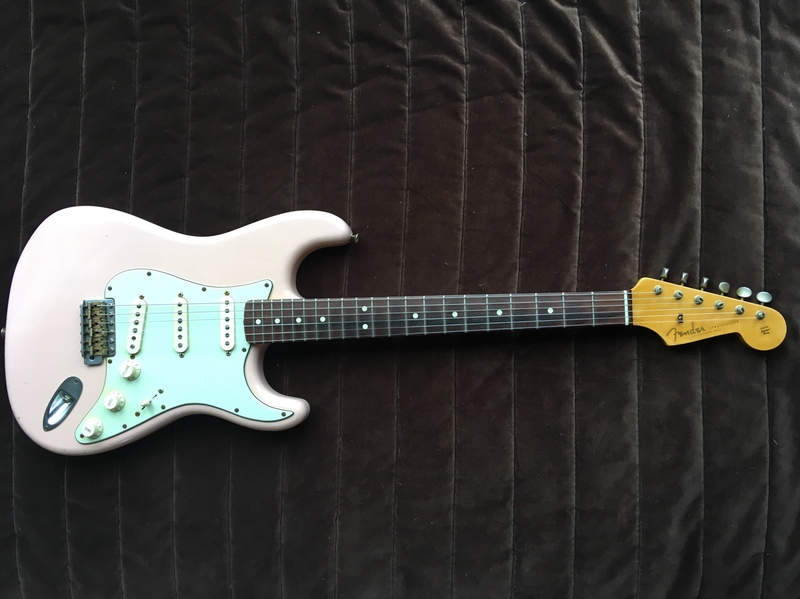 This Strat is billed as a 1963 Stratocaster on the COA and spec sheet. 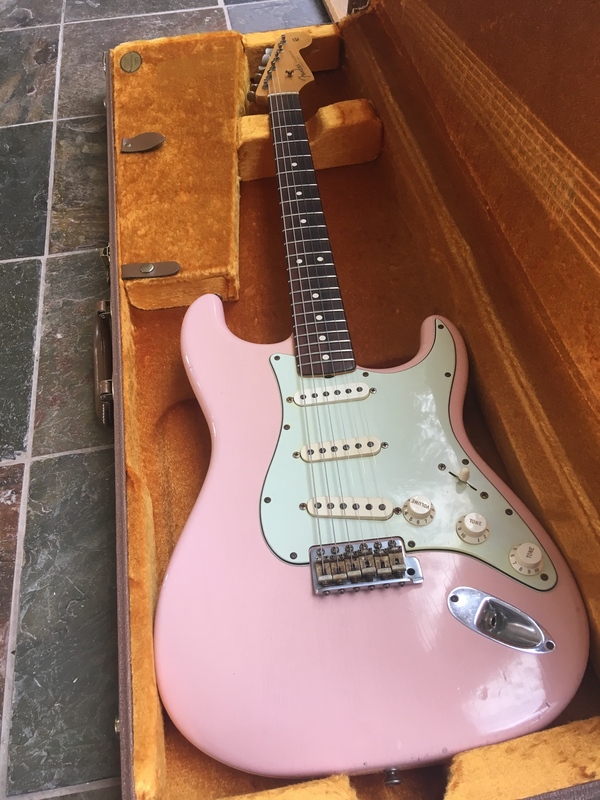 My thinking is probably because the Abby handwounds have been voiced as a 1963 Stratocaster. Good man. I’ll keep you informed of developments. There are a few people interested - but things aren’t clear. It’s still for sale currently. I’ll pm.